Jockey Dylan Robinson has been banned for three years after testing positive for cocaine. 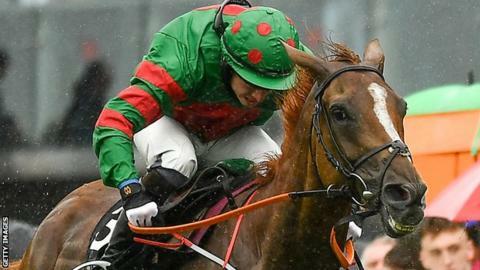 The drug, banned under the rules of racing, was found in a sample of Robinson's urine taken at Galway on 9 October. Robinson admitted breaching the rule but "could not remember events from the night in question and did not remember taking any substance". He expressed "great remorse" and a hearing accepted it was a "one-off". The referrals committee of the Irish Horseracing Regulatory Board "noted the overall improvement in Robinson's demeanour and willingness to learn from his error". But it said that the offence's seriousness needed to be reflected in the penalty, as did the fact Robinson "could have compromised the safety of other riders by riding with cocaine in his system". The ban runs from 1 January 2019 and the matter will be reviewed later in the year. Should Robinson reapply for his licence, he could ride again as early as 1 January 2020.